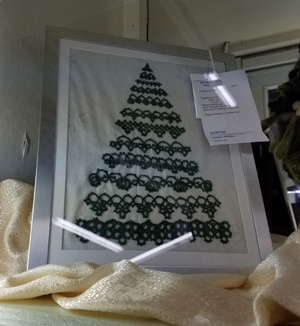 Martha's Tatting Blog: I've Been to the Fair! I've Been to the Fair! Actually, I've been lots of places since last time, but I'll do the most recent one. Sorry about the poor quality of the photos. The lights glaring on the display cases gave me too much trouble. 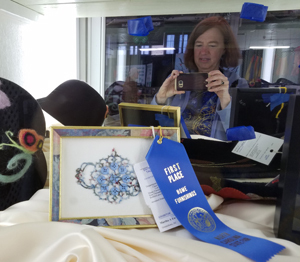 I was happy and maybe surprised to win a blue ribbon. 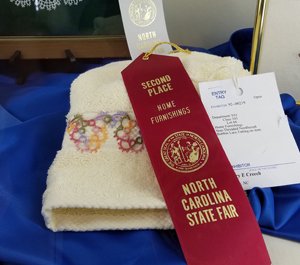 The North Carolina State Fair does not have as many categories as many fairs, and our main category is "Bobbin Lace, Tatting, framed or mounted." 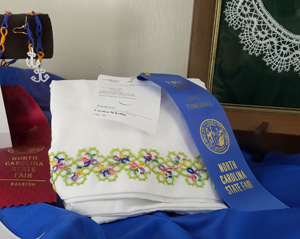 So I could have been competing against anything from small motifs to large doilies, both tatting and bobbin lace. There were many trials and tribulations getting this made. After a few false starts making other items, I settled on this pattern and thread and chose the buttons. Then I looked for hours for my blue beads. Once I found them, the buttons were missing. Once I found some other buttons, the original ones magically reappeared, but did not go with the beads. Once I found some other beads and completed the first teapot, I felt the beads added bling, but somehow detracted from its "tatty-ness," and made another one without beads. I liked Arlene's entry. I could tell a lot of thought and effort went into choosing just the right edgings and getting them aligned just right. I somehow managed to not get take pictures of all the entries. 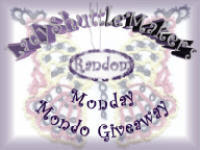 We have some "tatting attached to" categories as well, and there were some pretty things. Again, I did not get pictures of them all, and I seem to have missed photographing the clothing categories altogether. Maybe I wasn't all there that day. I was surprised to see this tatting entered under a machine sewing category. I guess the maker used sewing in some part of putting the picture together. We NC tatters are often on the lookout for other categories where we can sneak in some tatting. I think the mixture of the simplest motifs and edgings to make the design was charming. Congratulations on your ribbon! Good to see that there was so much tatting there, even sneaking into the machine sewing section. Great job. 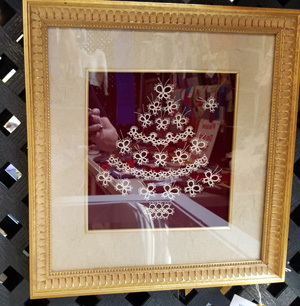 How did you attach your tatting in the frame? The tatting was sewn onto fabric, then stretched over cardboard and mounted into the frame.